In our opinion, our caregivers, whom we call "Ageless Angels®", are the best of the best, sharing common interest's, idea's and concerns with our clients. Our "Ageless Angels" assist with specific needs and provide individualized attention to each client. By selecting our caregivers from the mature community, we can provide better companionship, integrity and work habits to our clients. Our "Ageless Angels" are dedicated to providing the help necessary to keeping our "Oldsters" living independently in their homes. We recruit only qualified, mature caregivers who demonstrate a genuine desire for helping others, and whose life experiences have given them dependability and a moral character. We carefully interview, screen, reference check, and perform a Social Security registration verifications. A thorough criminal background check is also performed on all our caregivers by the Department of Justice, for both state and FBI records by using Live Scan technology. Our selection process assures our clients peace of mind and the safety of their possessions. We, as a referral agency, comply with all State and Federal tax reporting. 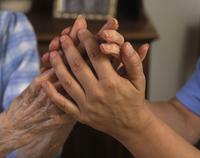 Sensible Senior Homecare Agency is not the employer of the domestic worker it referred to you. The domestic worker may be your employee, or an independent contractor, depending on the relationship you have with him or her. If you direct and control the manner and means by which the domestic worker performs his or her work, you may have employer responsibilities including employment taxes and worker's compensation, under state and federal law. For additional information contact the State of California Employment Development Department and the Internal Revenue Service.